William Heinecke is the driving force behind the leading global brands under the Minor Group umbrella. These companies make up an impressive list of lifestyle and leisure brands with a proud heritage rooted in Thailand. Minor International currently operate twenty seven hotels and resorts across Asia and the Middle East. In 1991, Heinecke became a Thai citizen and is still actively involved in a day-to-day basis in the empire he founded - especially overseeing global expansion plans - although he does almost make time to indulge in piloting his airplane, scuba diving and racing vintage cars. 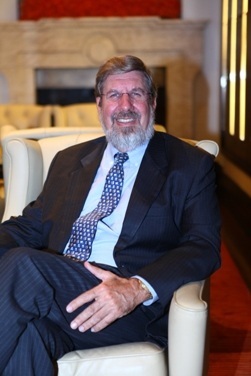 A two-time past president of the American Chamber of Commerce in Thailand, he sat on the Prime Minister's Foreign Investment Advisory Council, and is a keen supporter of the Thai Elephant Conservation Centre. Through Minor International PLC you deal with a number of major international brands, what inspired you to create your own luxury boutique brand? 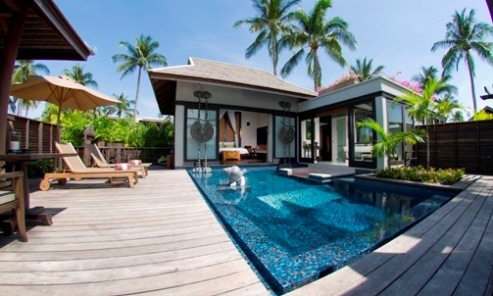 The creation of Minor's own Anantara brand of luxury resorts has been the realization of a lifelong dream. All the properties have been inspired by local architectural and design elements to provide a unique and authentic destination experience. The Anantara experience offers guests luxury and tranquillity in surroundings that are culturally and environmentally uplifting. 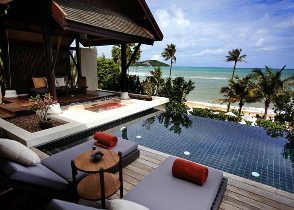 What is the single best/defining thing about Anantara Resorts & Spas? The Anantara Experience is all about enjoying the culture, heritage and natural beauty of our resort locations. Our brand promise is to bring story collecting travellers closer to local cultures and experiences with luxury and heart felt hospitality in exotic destinations. Every resort offers an indigenous experience through the architecture, interior design, F&B to guest experiences, excursions and spa treatments, all inspired by the culture or history of their particular location. I think people want more than just luxury now, they also want memorable experiences. Many of the adventurous backpackers from the 1970's and 80's are still looking for that ultimate travel adventure like elephant trekking in the jungles of Thailand or diving for whale sharks in the Maldives but they also want to come home at night and stay somewhere luxurious. Five star ultimate adventures now go hand in hand with five star accommodations and of course environmental concerns. Again, it goes back to heart felt hospitality with a range of experiences and great service. A hotel that offers a great experience must ensure beautiful architecture and interior design coupled with great F&B, guest experiences and of course excellent guest service are an absolute must for luxury travel. Of course I stay in our properties when I travel, but I am also great fan of Four Seasons. Within the Minor Hotel group we have 4 Four Seasons managed properties in Thailand, so I am very familiar with the brand and applaud their attention to detail and superb levels of guest service. Your base is in Bangkok. What is your favourite city to visit? Bangkok will always be my favourite city despite recent events; Bangkok boasts the same fundamental draws - gorgeous scenery, incredible culture, fantastic people, and value for money. I also thoroughly enjoy the Middle East as it's a largely untapped, untouched area of the world in terms of tourism and I've been travelling more to that region since we opened Qasr Al Sarab Desert Resort by Anantara in late 2010 and Desert Islands Resort & Spa by Anantara one year earlier. I enjoy discovering the city of Abu Dhabi and all the great development that is taking place there. The city has both something new and something old to reveal at the same time! I have many favourite restaurants here in Bangkok and around the world, but I suppose if I had to pick one of my favourites it would have to be Zuma, a contemporary Japanese restaurant which can be found in London, Dubai and Hong Kong. However, one of my favourite dining experiences was dinner in the rice paddy with the baby elephants at Anantara Golden Triangle. I took my family and we enjoyed a truly memorable evening surrounded by lush jungle, rice paddies and experienced the jovial antics of 5 or 6 baby elephants that live in our elephant camp which we run as a charity. As an avid aviator I tend to fly myself when I have the time, it's not uncommon to see me lined up behind the major aircraft carriers ready for take off in my favorite Piper Malibu Mirage. Minor also has its own private charter jet company, MJets, and we've just opened Thailand's first private VIP lounge at Don Muang airport. If I fly commercial I can honestly say I like to travel with Singapore Airlines and I think Etihad out of Abu Dhabi also does a great job. I always have my Blackberry, iPad and numerous magazines. The BlackBerry and iPad help to keep me connected to both business and family across time zones and datelines. Also, it is so difficult to read all of the travel and business magazines when I am in the office, so a few quiet hours during a flight offer the ideal time to catch up! Earlier this year, my family and I went to Tanzania to celebrate my birthday and it was a memorable trip. Firstly, I really enjoy spending time with my grandchildren and having the opportunity to take then on an amazing safari circuit was great fun for them and for me! We stayed with Elewana Afrika, which has a series of lodges in Tarangire National Park, adjacent to the Ngorongoro Crater and in the Serengeti - all rounded off with a few days on an idyllic beach at the Kilindi, Zanzibar. It was a great combination of adventure, relaxation and quality family time! Private jets and flying are both a hobby and an indulgence of mine, so I guess that would be my pick. I learnt to fly many years ago and I love the freedom that it offers and it is also very practical for travelling within the region and beyond to facilitate business needs in a timely manner and this was also the inspiration for co-founding MJets. MJets offer a range of planes that can fly both around Asia and all the way to Europe should a client require. An 'experience of a lifetime' - you don't need money to create a life long memory, just a special moment in time.